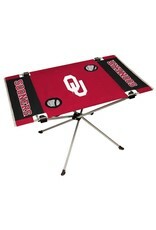 Great for tailgating, concerts and picnics, this End Zone tailgate table features team colors and logos. This table holds up to 75 lbs of food and drinks with 2 cup mesh holders. 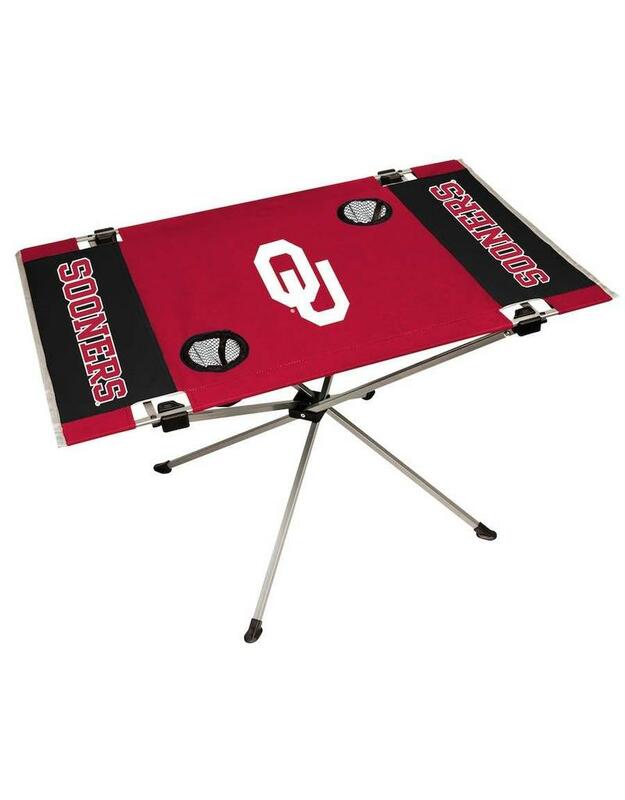 Made from 600D polyester top and durable steel frame, this tailgate table also includes a team logo carry case. Fully assembled the dimensions are 31.5 in L x 20.7 in W x 19 in H. Folded dimensions are 4 in L x 4 in W x 34 in H.